It is important that you have a guide to NDT Certification After Your Military Career. 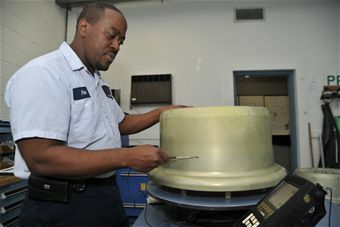 The Departments of the Army, Navy, and Air Force each have a career field dedicated to inspecting a variety of components. These inspections are performed in such a way as to not damage or alter the components. Regardless of whether we call this process Nondestructive Inspection (NDI), Nondestructive Testing (NDT), or Nondestructive Evaluation (NDE), the men and women who perform it are all in the same predicament when they leave the Service; they are no longer certified. Well, to answer that, we must first be clear about what it means to be certified. A certification is an employer’s way of saying they have vetted your training, experience, and ability to pass some exams, and is willing to assume the risks that are inherent in your work. If you skip steps during an inspection and miss something, you can be held accountable, and so can your employer. Additionally, the certification process is owned by each employer. Just because your last employer certified you doesn’t mean your current employer requires the same level of knowledge and experience. Aside from organizations like The American Society For Nondestructive Testing (www.asnt.org), which offers impartial third-party certifications, every certification you will ever earn will be through an employer. If you are currently serving in the military, your Service is your employer. As a matter for debate, it may be that the military does not provide a guide for NDI / NDT Certification After Your Military Career, due to retention. NDT is lucrative as a civilian and there is no incentive for the DOD to shine a light on the green grass. You can earn an ASNT Level II or Level III certification (and a few others) as soon you as you are qualified and are able to pass the exams. Your military experience will provide you with a qualifications boost that most non-military technician do not have toward certification. These certifications are good for 5 years. The qualifications follow those found in SNT-TC-1A, which is an ASNT recommended practice titled, Personnel Qualification and Certification in Nondestructive Testing. Let’s say you earn an ASNT certification in one or more methods and, down the road, get hired at an NDT company. Will you still need to earn a certification through this new company? It depends on their written practice. It is a procedure (signed document) that provides a roadmap for the qualification and certification of its employees. Every company that performs NDT has one. If your new company’s written practice is set up in accordance with SNT-TC-1A, it might allow some exams to be waived for people with current ASNT certifications. All of the options are listed in chapter 8 of SNT-TC-1A, but it is still up to the employer. What if the company you want to work for certifies its employees under the NAS 410 standard? This is where things get different. National Aerospace Standard (NAS) 410 is not owned by ASNT. It is owned by Aerospace Industries Association (www.aia-aerospace.org), or simply, AIA. Revision 4 was published in late 2014, and came with some changes in the minimum experience levels required for qualification and certification. As you can imagine, NAS 410 is more stringent when it comes to what the employers can and can’t do in their written practices. NAS 410 is a standard practice. This means it must be followed exactly. SNT-TC-1A is a recommended practice. This means that it has recommendations that should be followed, but if the employer’s type of work requires deviations, they may be allowed as long as the written practice explains the reasons for them in an annex. Why don’t all NDT companies just certify their employees to the less-restrictive document? SNT-TC-1A does not apply to a single NDT sector. It can be used for oil and gas, wind farms, power plants, paper mills, and manufacturing, to name a few. All of these sectors have different national standards to follow and different applications, so a blanket document is not feasible. NAS 410 covers aerospace (to include the manufacturing, service, and overhaul industries involved in aerospace), so it can be very specific. The Federal Aviation Administration also (www.faa.gov) has a lot to say regarding the quality of aircraft components and support equipment. Think about it this way, if a wind turbine has a gear break in the middle of a wind farm, there will be damage, and possibly some injuries. If a plane has a wing break off during flight, a lot more bad things will happen. This Guide to NDT Certification After Your Military Career may help with your qualification and certification choices. Here are two charts that show the differences between NAS 410 and SNT-TC-1A. There are other programs available, such as CP-189, ACCP, and IRRSP, but we will leave those for another time. These tables compare the five basic NDT methods. NAS 410 Revision 4 split radiography into 2 separate techniques (film and non-film). SNT-TC-1A lists 15 methods, and some of those are further broken down. For example, ET is broken down into AC Field Measurement, Eddy Current, and Remote Field Testing. SNT-TC-1A appears to allow fewer experience hours for some methods, but only if you are performing more than one method. Also, for some methods, NAS 410 requires more formal training hours but less actual experience hours. Isn’t NAS 410 certification supposed to be more difficult to earn? NAS 410 Revision 3 required a total of 1600 experience hours in ET, UT, and RT to qualify for Level 2. That revision also allowed what was referred to as the “50% rule”. This allowed NDT technicians to claim time for multiple methods worked during a shift instead of splitting the accounting into the actual hours worked in each method during that shift. Revision 4 dropped that rule and cut the minimum experience hours in these methods in half. So, under Revision 3, you could work an 8-hour shift performing PT and MT and claim 8 hours for both as long as you performed one or the other throughout the shift. Under Revision 4, this same shift would result in something more like 4 hours for PT and 4 hours for MT. Another thing to note is that the hours listed in these tables are cumulative. For example, SNT-TC-1A requires 4 hours of formal training for Level I and 8 hours of formal training for Level II. You can’t just take an 8-hour course and qualify for Level II. You need a total of 12 formal training hours for Level II. Also, in that same method, you need 130 experience hours to qualify for Level I and 270 experience hours to qualify for Level II. If you choose to skip Level I and certify straight to Level II, you will need 400 experience hours as a NDT trainee. See also: NAS 410 REVISION 4 CHANGES – For an enhanced commentary on NAS 410 Revision 4 changes and implications. See also: NAS 410 REVISION 4 NOTES – For a deep drill-down into the specific changes that were made. Now that we know all of this, what do you need to do? All paths to NDT certification after your military career begin with qualification. You will need to prove you meet the minimum formal training hours (the tech school syllabus and certificate should suffice) and minimum experience hours. Proving your experience hours can be difficult if you haven’t kept a log throughout your career. You will need to be able to pass any applicable vision exams, and, if you are seeking Level III (or Level 3 for NAS 410) certification, you may need to provide your college degree if you are using it as a substitute for experience hours. Your NDT career is in your hands. Don’t wait until you separate or retire to compile your qualification documents. Resume – A resume is important. It is your first impression on paper. Spend some time crafting this. Avoid Bullet statements. Education – You will need to have official transcripts and signed training certificate(s) with dates. Calculate Hours (USAF Specific) – You will need to show the amount of hours you spent working each individual NDT method. Experience Affidavit – The format will differ from employer to employer. Must be signed by previous supervisor/trainer. References – References always help. They show you mean business and that others are willing to back you up. Valid State Drivers License – Most companies will prefer an employee be capable of driving. They may even ask you for a photocopy. Up-to-date Passport – NDT companies may find themselves needing a technician overseas. A passport is handy for such occasions. Service Record – Your DD form 214 or proof of service letter, combined with training documents, can help verify qualification. Your resume may contain your goals, but consider that some NDT technicians craft entire careers performing a single NDT method. Lastly, Visual Testing (VT) is a big market out here. Your branch of service may not have VT as an actual method. If you used boroscopes, microscopes or prisms, any time in your career, attempt to obtain signed documentation of your training on the devices and the hours spent performing these tasks. It will save you some time if you wish to qualify for VT.
We hope this guide to NDT certification after your military career guide has been benficial. We hope your next step will be to add yourself to our in-house resume filer. 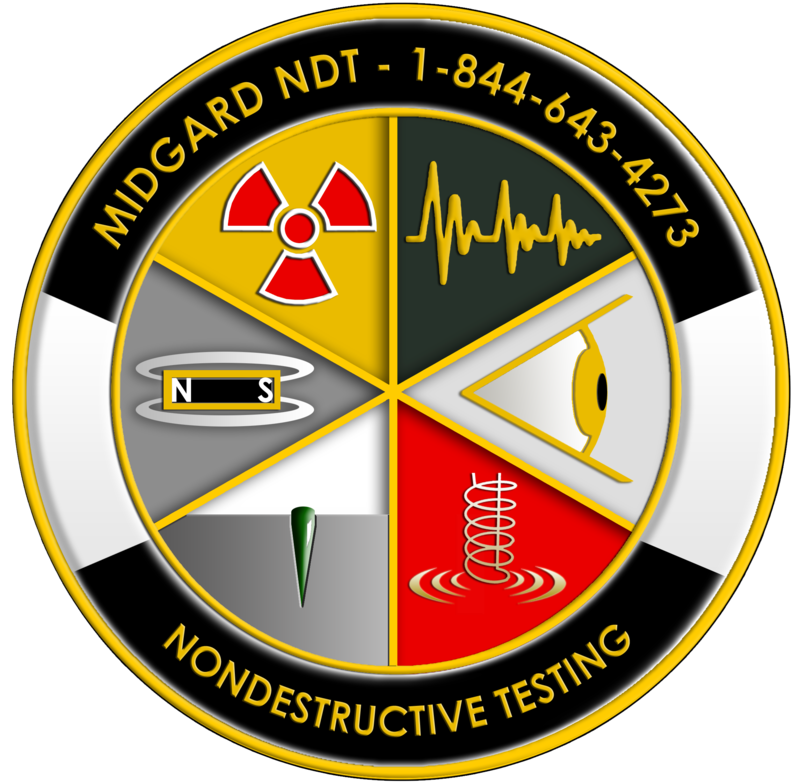 We may not be hiring today, but filing a resume with us may expedite any future positions with Midgard Scientific.